• Parking: To access the southern third, park in the southernmost (of 2) parking lots on Prairie Creek Rd. Otherwise, parking lot is by the sports fields on Elam between Brightwood and Holcomb. • Security: More people on the east side near Prairie Creek Rd. Park is framed by middle-classes houses except for small quiet industrial district on southern border. Seems safe. Over 265 acres divided by Prairie Creek. A 2.7-mile paved trail goes through developed parklands in northern two-thirds, around a central wooded area where the creek runs. 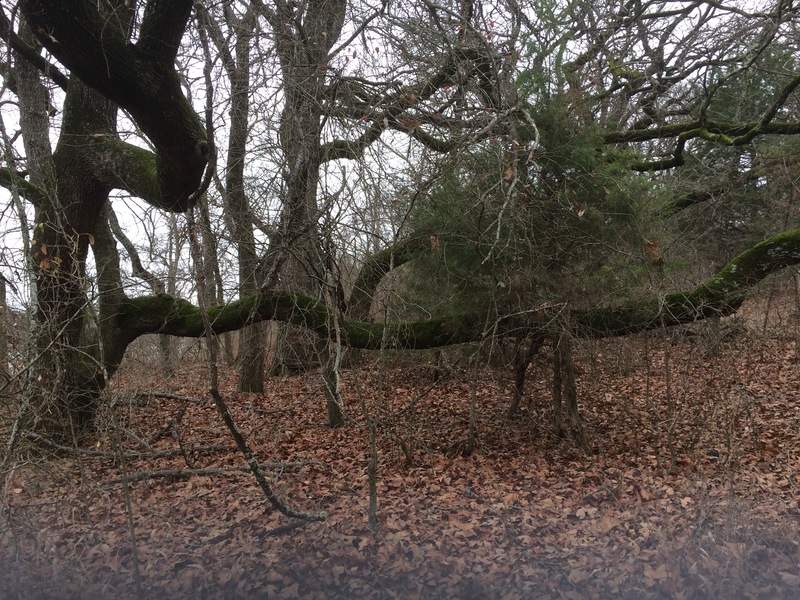 About 50 acres of Post Oak Savannah on trail’s west flank. Austin Chalk Escarpment Area on south end of eastern side flanking Prairie Creek. 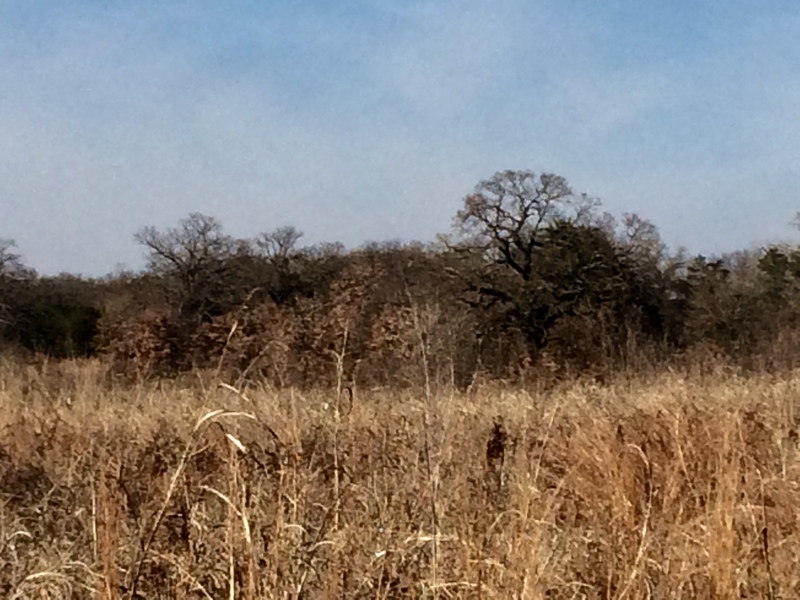 Around 27 acres of Blackland Prairie restoration and dirt trails in the wild southern third. Crawford Memorial Park was a fabulous experience. Saturday afternoon on a beautiful winter day and we had the wild southern end all to ourselves. Members walked between 4 to 6 miles (depending on when they left) and covered only part of what’s available. The northern 2/3rds of the park is sports fields and a paved trail that loops around a central wooded area. 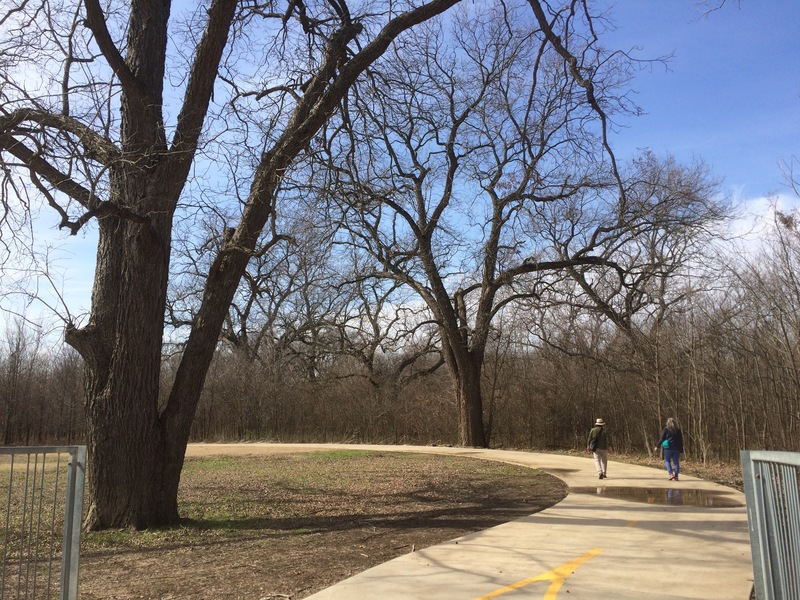 The western flank of the loop trail goes through an unusual swath of sandy loam soil that fosters a Post Oak Savannah. The 49.6 acres of post oaks, blackjack oaks, and even some pines are being reclaimed from woody encroachment and having its short native grass turf restored. An abandoned railroad lineborders the park’s west side that will become part of a city-wide connected trails system. The southern third is undeveloped with dirt trails through 27.1 acres of Blackland Prairie on a wide slope leading to Prairie Creek. To reach it, take the west leg of the loop trail until the trail makes a hard turn to the east at a triangle intersection. Continue 50 yards or so, take a wide sandy opening, and head south on sandy trails. Go south and trails start splitting off to the right. Or bear forward until it hits a dirt road. You can also walk through the western edge of Post Oak Savannah, though with privet and poison ivy issues, but you can see patches of openness in the trees that is heartening. Keep going south and the landscape opens dramatically. It’s a rare opportunity to get a bona fide prairie experience inside a big city. Standing in the middle, it was Indian grass and big bluestem until the distant tree line. Wind made the tall dried grasses rustle and bend. 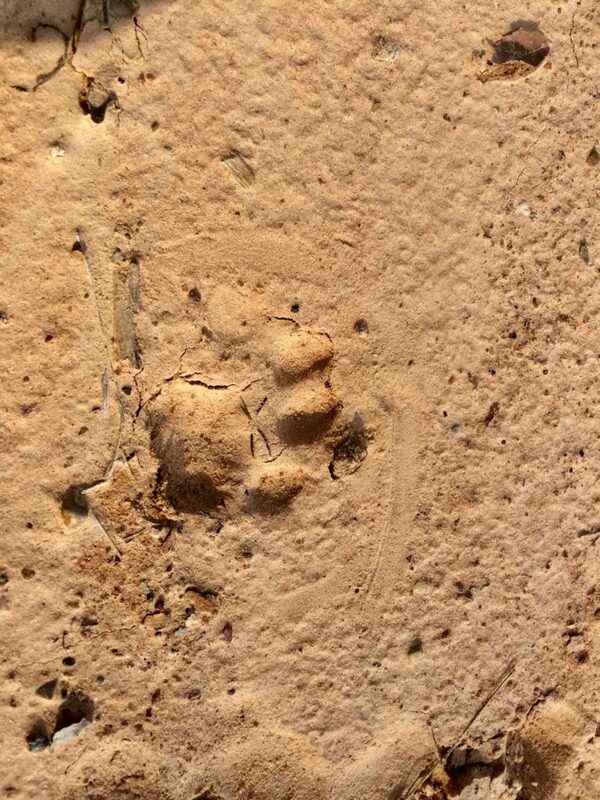 Critter trails and field mice tunnels were easy to see. Redtail hawks and turkey vultures swung through the skies. The air smelled clean, even with US 175 nearby. Go with earbuds and some tunes and you won’t notice the highway noise. All these paths eventually reach Prairie Creek, aiming toward a dilapidated trestle on the old railroad line deep in riparian woods. The creek has steep chalk sides 5 to 10 yards deep and is not as trashy as many. Plentiful inland seat oats and even horsetail reed. Hardwood trees were impressive 2 to 4 story, 50 to 120 years old. We traced the south-southeastern riparian edge, giving us splendid views up the prairie slope. 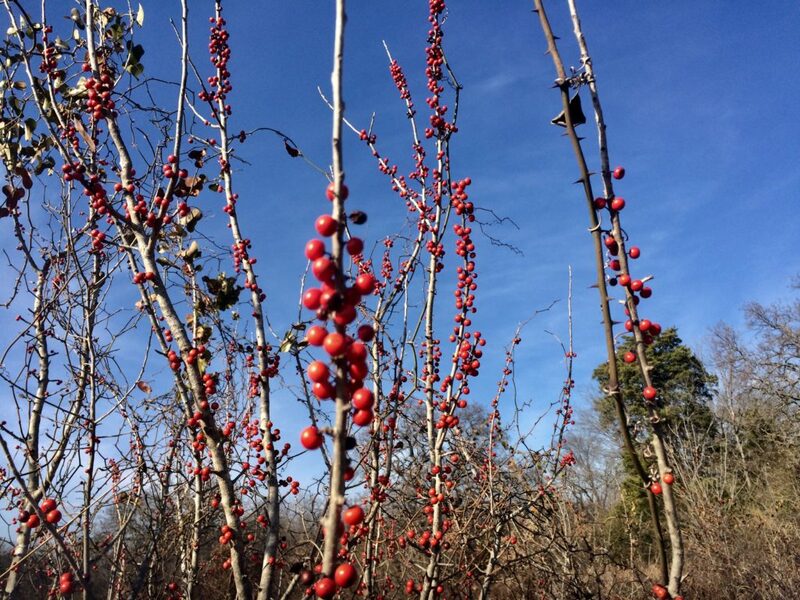 Red berries of possumhaw and burgundy foliage of sprawling dewberry patches stood out. Once headed more or less north, trails spun off to the right toward Prairie Creek through a white Austin chalk escarpment. These were more populated with people and had extensive damage from ATV and motorcycle use, now forbidden. We returned via the escarpment to the south leg of main loop trail. Heading east, the loop trail goes through a small mowed park area and crosses Prairie Creek on a steel bridge. The decayed spillway beneath used to impound a small lake. The trail goes through a bit of almost-savannah and turns north. On that eastern leg, the trail fronts a busy thoroughfare, so cutting across the picnic and playground area is best. It eases into a lovely Post Oak Savannah area. The trail’s northern leg crosses Prairie Creek at Elam and the big bridge gives some good (albeit noisy) views. Then you’re back into the sports fields. Prairie restoration is impressive and seemingly doing well. A project of Brett Johnson of Dallas Parks & Recreation, he’s assisted by Texas Discovery Gardens and North Texas Master Naturalists. Colorful ground flags marked various plant projects. Some bad patches of Johnson grass and ragweed are intense in some places. A few trash dumps exist on the west flank. 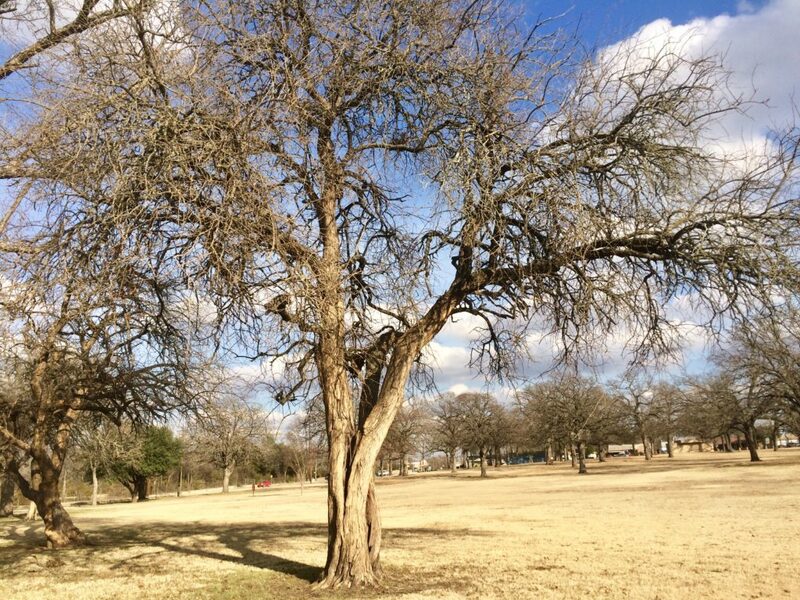 Dallas Parks & Recreation, led by Brett Johnson, is seeking Signature Status for the park, which will increase its budget. Key to the plan is clearing woods in the center to create a 10 to 40-acre lake from damming Prairie Creek. Along with the usual playground, picnic, and sports improvements, proposals include a 5-acre dog park, zipline, and suspended nature bridge in the woods. 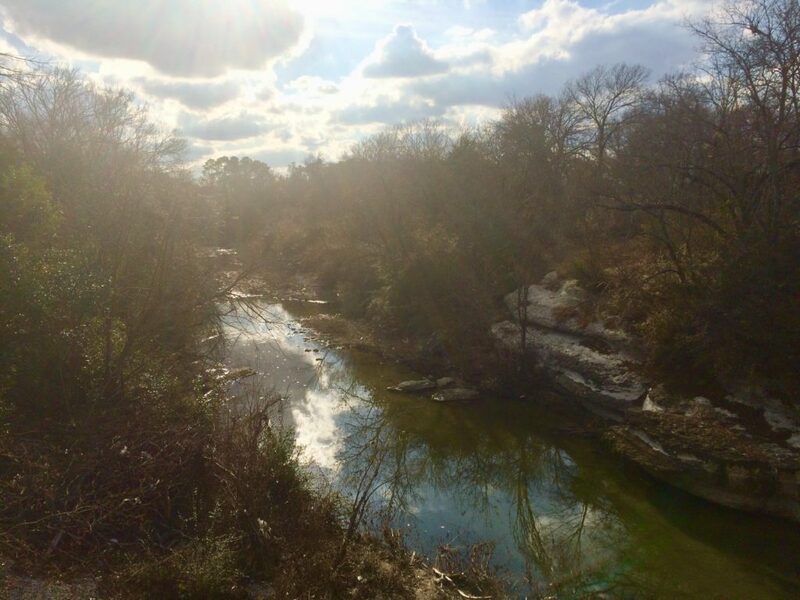 Enjoy its wildness while you can, but goals do include more Post Oak Savannah and Blackland Prairie restoration.